When faced with the challenge of designing a concrete mixing truck to suit the diverse market of today’s contractors, Gough Industrial Solutions explored what it could do to ensure it would be a good fit for the market. 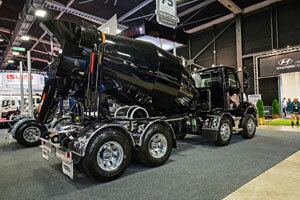 The company looked at what was currently available on the market and what situations the trucks often found themselves in and designed the Dynamix Concrete Mixers to exceed those levels. Neil Seales, Product Manager at Gough Industrial Solutions, says the business focused at improving the truck’s loading and unloading times, improving the efficiency through design and reducing possible risks that operators could face. “When loading a mixer at a concrete plant, ensuring the trucks have a faster throughput means the trucks can get sent out to their work site quicker,” Mr. Seales says. “We have found that around 95 per cent of concrete used in Australia and New Zealand is dry batch concrete, so we designed the bowls for these dry batch applications, with the ability to function equally in wet batch applications,” he adds. This was one of the reasons behind the Dynamix mixer’s low angle bowl. By building the bowl to be longer instead of wider, Gough was able to reduce the amount of concrete that can roll back in on itself when discharging. Flights have also been used in the bowl to improve the mixing process and stop the product from becoming too dense, which can slow unloading times. Mr. Seales says other products on the market can sometimes struggle when it comes to discharging low slump concrete. “When a concrete bowl sits on too high of an angle, discharging the product is like sending it up a hill. By keeping the angle low it makes discharging concrete easier and has a secondary effect of giving it a lower centre of gravity,” he says. The bowls are also made out of high tensile 510-megapascal steel for improved longevity. “We have found the bowls are frequently handling up to 30,000 cubic metres of dry batch concrete before needing to be repaired or replaced,” he says. To ensure the system can also save companies on fuel and maintenance costs, Gough has included an in-built travel mode, which limits the bowl to a consistent two revolutions per minute while the truck is driving. Mr. Seales says this was implemented to stop the bowl from speeding up when connected to the truck’s engine. 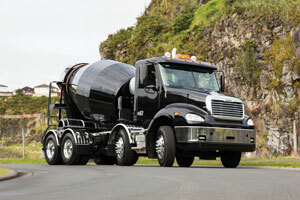 “Mixers have their hydraulic systems connected to the truck’s engine, meaning when a truck is moving to a job site, the bowl will want to speed up. By using the travel mode, it ends up saving the operator money on diesel and engine wear and bowl wear,” he says. “This is because the faster the bowl rotates, the quicker the concrete will begin to set. As a rule of thumb, concrete loses one per cent of water per minute in transit to a job, so the slower the bowl goes, the slower the drying effect. “Between saving fuel, delivering a better product and reducing bowl wear, I don’t know why everyone doesn’t do it. It’s such a big saving,” Mr. Seales adds. The system has modes for traffic, washing and plant functions and can be customised for different control systems. These can be used to speed up loading or to improve the wash cycle, controlled by a standard button display. “One of our customers in New Zealand has put in a fully automated version of the system that detects when the truck is travelling faster than eight kilometres per hour and automatically shifts into travel mode,” Mr. Seales says. One feature that Gough included into the design of the Dynamix Mixer was to install an electric driven pressurised water system with dedicated non-pressurised water tank for cleaning and adding slump water, manufactured in Italy by Danish company Danfoss. Mr. Seales says the decision was made after Gough found that other Australian mixers would use pressurised air tanks connected to the auxiliary braking system. 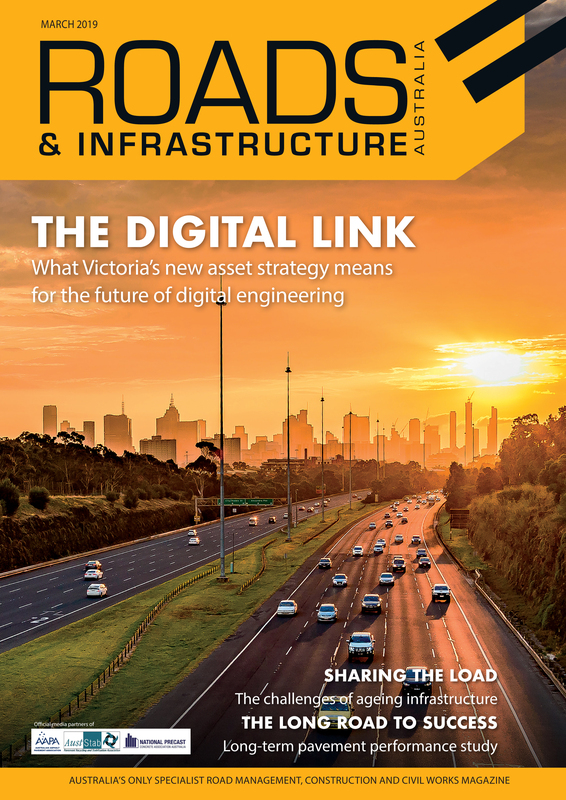 “By using some of the best technology available and ensuring they are not connected to vital systems, it means there is less chance of something going wrong and reduce the risk to the operator,” Mr. Seales says. “We have also designed the vehicle to have no external controls, except for an emergency stop buttons, meaning the operator can stay in control at all times. Wireless remote systems are standard for a Dynamix Mixer.